This centre has great transport links with local buses operating in the local area. St Mary Cray Railway Station runs services to London Blackfriars and Victoria as well as to Ashford International where Eurostar connections to Europe can be utilised. On-site there are business support services as well as car parking spaces, ideal for those driving to the office. The space can be accessed 24-hours a day. This centre provides a range of unfurnished office suites, as well as a large selection of storage areas and ample parking. The centre is situated on a business park, and is close to Orpington railway station, as well as the M25 and M20 motorways. This superb business centre provides a comfortable and spacious work environment, along with a full selection of business amenities. 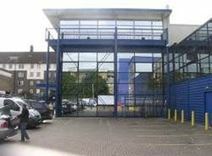 This is a great location, just 30 minutes to Central London, and with the M20 and M25 motorways directly accessible.